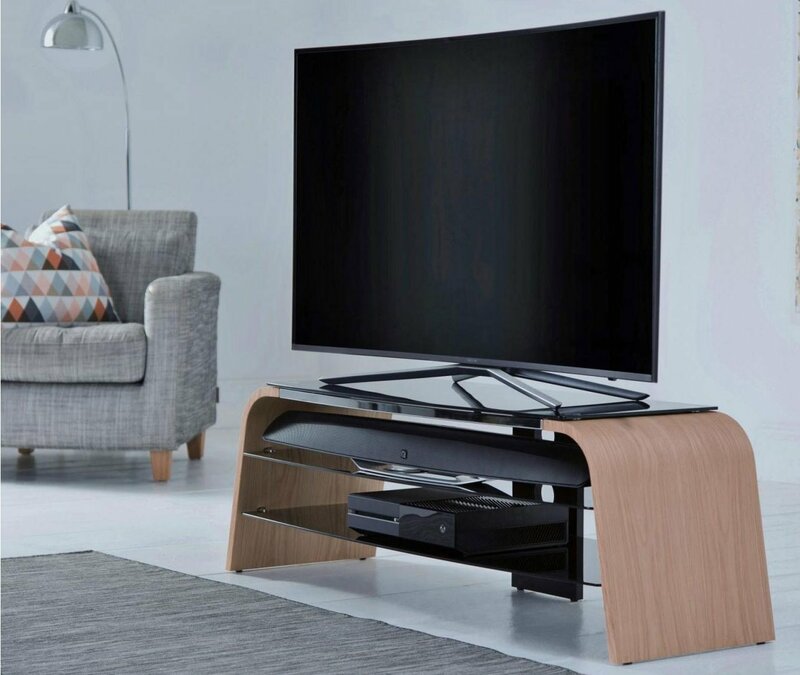 The Spectrum boasts a modern and minimilstic look designed to perfectly complement the latest flat screen TVs and set top boxes. 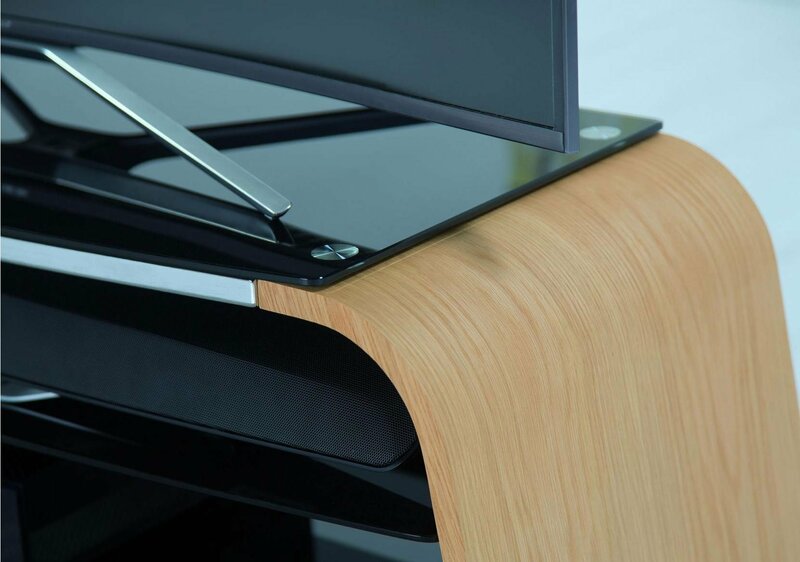 The real wood veneer sides support 3 beautiful black toughened glass shelves, with ample space for a soundbar. 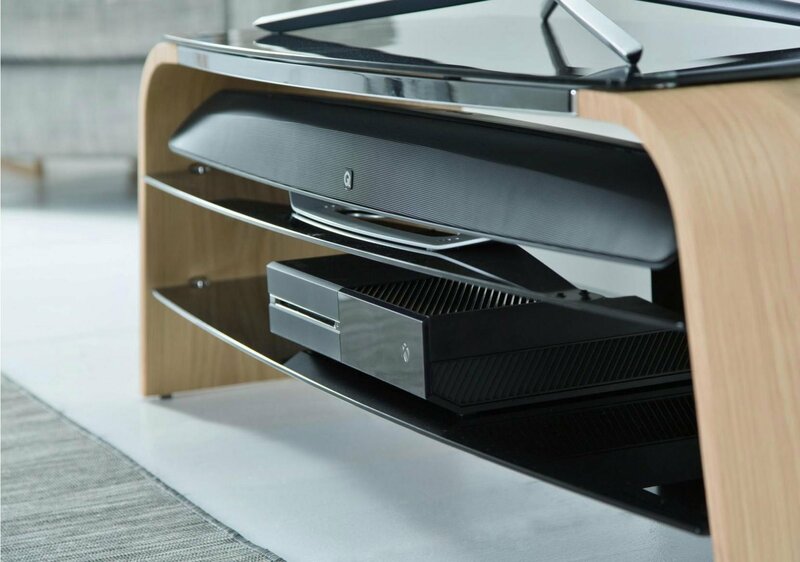 The Spectrum is finished in stylish chrome detailing and features cable management at the rear. 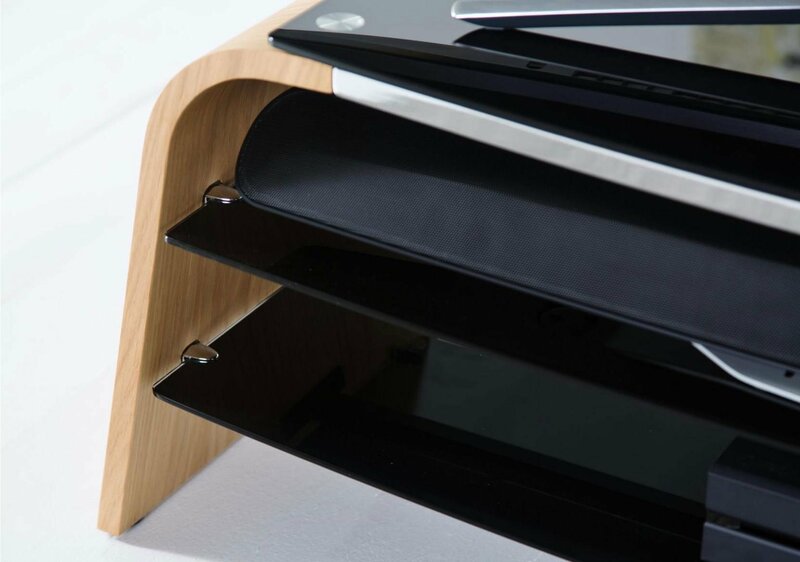 The Spectrum is available in Walnut or Light Oak wood with black glass.